If you’ve been wanting to get a jump start on a healthy routine—whether that means eating better, exercising more, or just taking a break from too much screen time, we have plenty of opportunities for you to achieve that balance in a way that is only possible in Kauai. Wellness is a term that gets thrown around a lot in what has become a booming industry, used to sell everything from protein powder to yoga mats. People often associate wellness with dieting, depravation and sacrifice. But here on Kauai, it’s about abundance. Here, wellness is a tradition handed down from an ancient legacy of wisdom, stories, and practices that have endured for generations on the island. 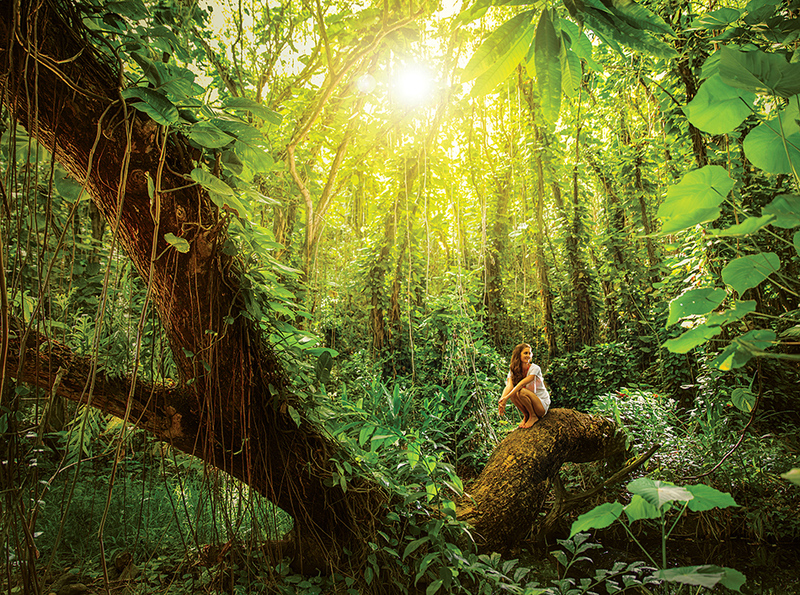 Traditions of multi-cultural healing practitioners and the abundance of local products, (many of which are harvested right on property, from the Farm at Hokuala) facilitate wellness in ways that aren’t possible anywhere else. This is just one of the reasons Farmer Cody has invested so much into raising the “canoe crops” that were brought to Kauai from Polynesia by boat from its first settlers. Products like salt, clay, herbs, botanicals, honey and citrus all can be used in various ways to heal and nurture your body, mind and spirit. It’s not just about what you eat but how you feel—clichés aside, as soon as you get off the plane there is something in the air here. It’s a spiritual power that can be felt and even seen on Kauai in the landscape of garden, mountains and sea. The Hawaiians refer to this quality as mana—and that is the gift we hope to offer you this spring. We know, we know. Yoga is nothing new. 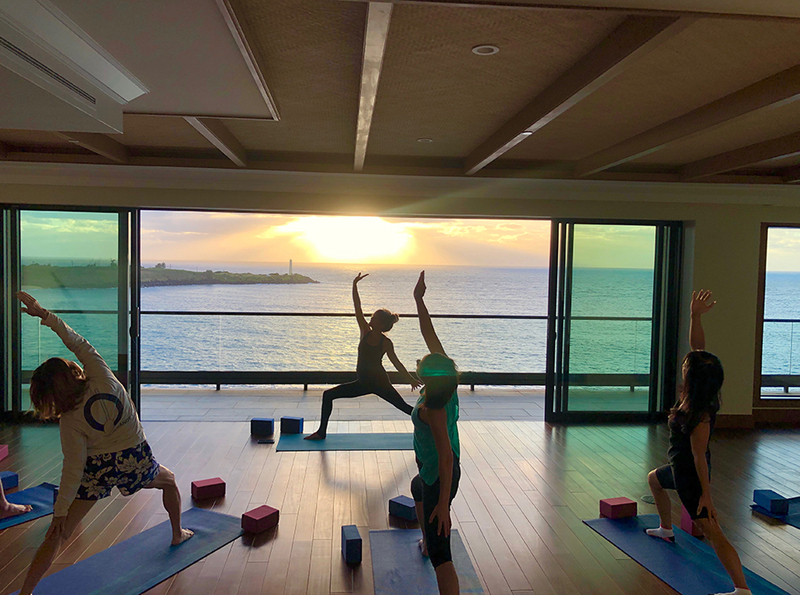 But until you’ve started your day with our Vinyasa-style yoga class in one of our Kaiholo penthouses on the ocean’s edge, overlooking dramatic southern views of the Pacific Ocean, Kauai coastline, and entire Ha’upu Mountin Range, you’ll never think about yoga the same way again. This class combines breath and movement to restore balance and has a more rigorous, athletic style but can be adapted to the needs of the student. Doing yoga first thing in the morning will jumpstart your metabolism, facilitate detoxification, increase blood flow, and provide that much needed morning energy boost, especially after travel. Best of all, it will help connect you with these pristine surroundings in a way that brings you mana. After yoga, drink in the view—literally—with our selection of fresh morning juices, made daily with ingredients from our organic farm. A far cry from the juice bar at Whole Foods, our juices and smoothies start with ingredients grown right here in our backyard. Raw juice provides ample fluids and nutrients that are easily absorbed (especially in the morning on an empty stomach) including vitamins, minerals, enzymes, antioxidants, phyto-nutrients, trace proteins, amino acids, and fats. Chase the benefits of your yoga class with our Veggie Juice (available in a shot or full glass) packed with carrot, apple, beet, and finished with ginger. 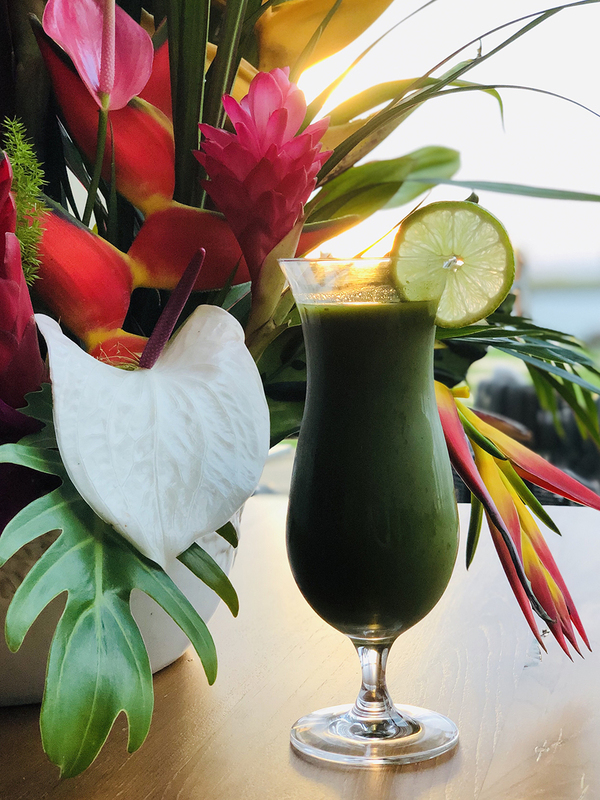 Or for something a little more substantial, try the mango, pineapple, coconut, avocado & kale smoothie made with grown-right-here tropical fruits that are loaded with anti-oxidants and a healthy dose of omega 3 fatty acids thanks to superfoods like avocado and coconut. Plus, no one has to know how sweet and delicious that kale drink you’re sipping actually tastes, and that’s kind of the point—we make being healthy something you’ll actually enjoy. That’s the essence of mana. After improving your mind and body with yoga and fresh raw juice, it’s time to work on your spirit. 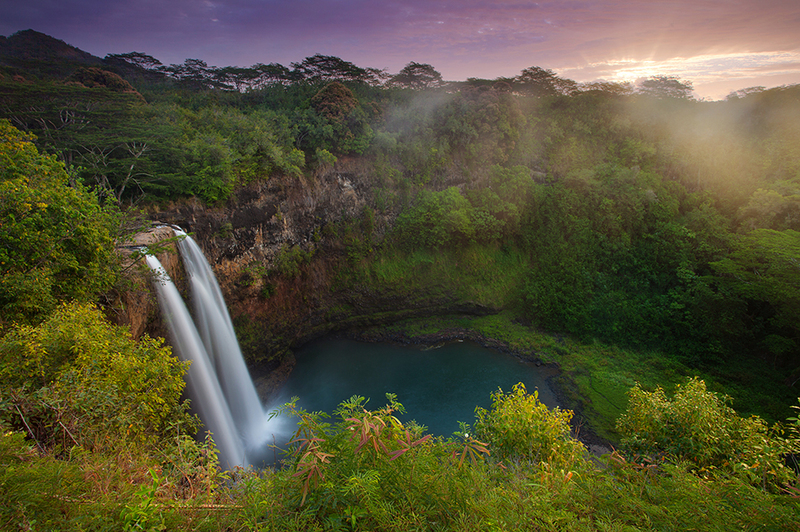 For an only-in-Kauai experience (and one that will definitely warrant that exact hashtag when you post those incredible photos later on Instagram), join us for a private tour of a secret double waterfall nestled in the Hule’ia National Wildlife Refuge. Surrounded by a bamboo forest and lush, tropical foliage, this excursion is guaranteed to be the highlight of your visit (and we’re not just saying that). These waterfalls are hardly known to anyone, (including locals), so it’s the farthest thing from a touristy experience as these waterfalls are not open to the public. A 10-minute hike down a jungle trail borders the wildlife refuge and leads first to the 30-foot Bamboo Falls and then to the majestic Papakolea Falls, which is impressive at an ominous at 65-feet. At the larger falls, there is an opportunity to climb a small rock wall and walk behind the heavy flow of the falls. Our guides will help you navigate the terrain safely and are available to answer any questions. This rare opportunity to commune with the power of nature in this pristine setting is the essence of mana—with the spray of water coming off the falls, your spirit will also be lifted. For spa reservations or information on excursions, please contact Timbers Kauai concierge at 808.320.7400.